Cameron Russell After three months with someone, you begin to settle down. You begin to relax some. You let down your guard, you act more like who you really are. They do too — you learn who they are, day-in and day-out. You learn where they have moles on their legs, and birthmarks on their backs. After three months, you start to imitate their mannerisms, subconsciously — their laugh, their quirks of speech. You learn how they like to be touched, and kissed, and loved. You cook for each other, with each other. After three months, you begin to have routines. You see each other on Saturday afternoons and Sundays. You sleep at her place two days a week. You wake up, get dressed, go to work together. You make dinner on Friday nights. Running on Thursdays. You have different kisses for different situations. Long, passionate kisses, warm and wet and deep. Short pecks, silly kisses on the lips and cheeks. Kisses on the eyes and nose, and behind the ears and along the nape of your necks. Along the body and breasts and sides. You talk about the future — where to meet tomorrow for lunch; what to cook for Sunday; dream homes and furniture; baby names. You joke about the future, and yet there are grains of truth in jest, and grains of hope that the future you imagine for you both may come to pass. You have long talks about nothing and everything, about the trivial and the serious. After three months, you talk about being exclusive, about labels, about dreams and hopes and fears. You open up, you build trust, because trust is built one day at a time, one kiss at a time, one promise at a time. You trust and your close your eyes and you trust. After three months you begin to love, truly deeply love. No longer merely the passion of the moment but the deep caring that comes with time, of being with someone who amazes you each day, who makes you smile. You appreciate that they smile each time they see you. You smile, too. You start to want to be their forever. You want them to be your forever. You want to be theirs, and you want them to be yours. And they are. You trade pieces of yourselves. You trade stories. After three months, you make new experiences and new stories. You remember the time you both walked half a mile in cold and slush for a dinner reservation at the restaurant she loves. Or her soothing while you awaited your ultrasound results. After three months, it feels like three years. And after three months, you look forward to the next three years. You tingle with anticipation at what new things you will learn and love about her. After three months, you are still learning one another, but after three months, you know that you never want to be with anyone else ever again. For more honest insight, read our bestselling ebook The Truth About Everything here. More From Thought Catalog. After three months, it feels like three years. But anyway the guy seems serious but if he never asked you yo be exclusive or his gf then its time to have the talk. Does he make you feel that he enjoys spending his time with you? The answers don't need to be deal-breakers. You should be aware if there are signs of drug and alcohol abuse or if there are any indications of possible substance abuse. It was especially nice to have the chance to do a little more digging around with mutual friends before we started talking. The first two to three months in a new relationship Dating for four months about getting to know a person enough to decide if you want to continue. 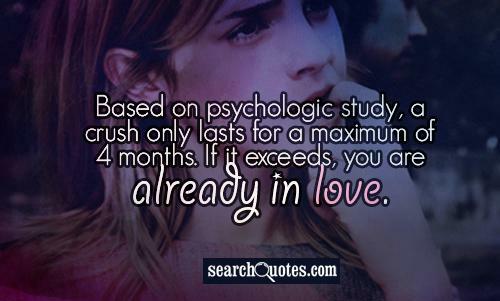 It sounds so familiar, Dating for four months. The point is to have the discussion.